311 SW Windrose Lane Concord, NC. 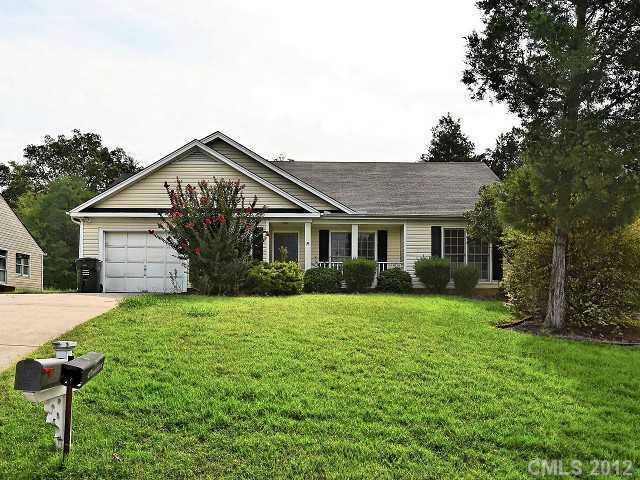 | MLS# 2104584 | Provident Living (704) 609-5362 - Jean Griswold - Your Trusted Real Estate Advisor - Call Jean for all of your real estate needs. Wonderful ranch home with vaulted ceilings in living room, kitchen & master bedroom. Large kitchen/dining area; ceiling fans throughout; oversize garage. Backyard privacy -- Duke Energy land to rear! Attic floored over all of garage -- lots of storage! Previously 2-car garage; one side closed, creating workshop! Water htr & a/c new 2011; roof new 2012. PREINSPECTED! One year home warranty incl.